Online scammers who use lonely hearts schemes to bilk people out of money sometimes steal the identity of a military member to tug at their victim's heartstrings. Usually, these scammers develop fake contacts, using easily obtained pictures from real U.S. soldiers. 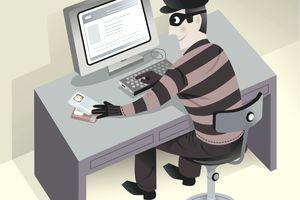 The scammers often use internet cafes and reroute money multiple times to untraceable sources, making it difficult to track them or reclaim any money they manage to steal. What's especially insidious about this kind of online scam is that many people legitimately want to help a member of the U.S. military who requests assistance. The scammers are exploiting people's good intentions toward our men and women in uniform, and exploit their good will. Not only does this kind of fraud this hurt the victim, but it damages the reputation of the United States Military member. Foreign victims often fall for the scam, and really do think a U.S. soldier stole their money. Someone who pretends to be a sailor, soldier, airman or Marine looking for love (but really is looking for cash) will count on you not investigating them too deeply. This is where you can get the upper hand. Here are a few cautionary measures to try and protect yourself against these scams if you decide to try to find love online. First, avoid giving out your personal information and pictures to someone you don't know. The person could be from any part of the world, could use your personal information and images to impersonate and even blackmail you. Do your best to research every detail and verify what you can. Remember, pictures from the internet could be as simple as "copy and paste" from the Facebook page of an unsuspecting military member. How are you supposed to know what an official military document looks like? It's not that hard to print an authentic-looking duplicate with a home printer. That's part of the reason the Army Criminal Investigation Command has an example page for commonly used false documents to aid in detecting a scammer. Military members overseas are taken care of and do not need assistance from random people on the internet with their finances. If a soldier requests things that are provided by the military or are unnecessary, such as transportation costs, communication fees, marriage processing, vacation time fees, and medical fees, that's a huge red flag that something is not right. Most servicemen and women have an FPO or APO mailing address. In fact, each year there are programs for civilians to send Christmas Cards to Military Members worldwide. So, if a soldier really is in Afghanistan, he or she will have a corresponding military mailing address. Be suspicious if your online paramour tells you he's on a top secret mission in an ultra-secret, exciting location and only wants to communicate via email, or asks you to send something to a non-military mailing address. He or she is probably not a real military member.